Discription:Some of you may wonder how they make the brown sauces at the Chinese buffets. The truth is, there are many different ways to make brown sauce and each of them is probably different in some way. 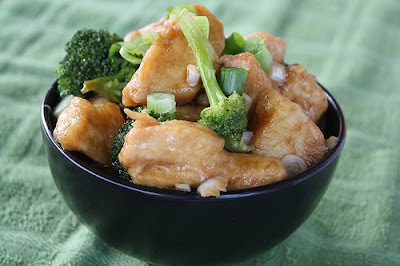 Here is a pretty standard recipe for Chinese brown sauce that can be used with chicken, pork, beef, shrimp, ect. If you require some heat in your sauce try adding some red pepper flakes or chili paste. Step 1: In a bowl mix soy sauce, brown sugar, chicken broth and corn starch. Make sure the mixture is well combined and set aside. 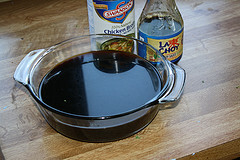 Step 2: Add 1 teaspoon of oil to a wok or saucepan over medium heat. Add garlic and stir fry for 10 seconds. Add the chicken broth mixture and bring to a boil. Cook until the sauce becomes thickened and bubbly.